I am trying to reproject a raster image from 3857 to 27700 using QGIS 2.18.2 Las Palmas. I loaded the OpenLayers Bing Maps Aerial (3857) and zoomed to my site, then saved the map as an image (TIFF). I set my input file as the TIFF and Source CRS as 3857, the output file as a new fie and Target CRS as 27700. Resampling method "Near". You must sure that in gdalwarp command line (at the dialog bottom) presence -of GTiff. 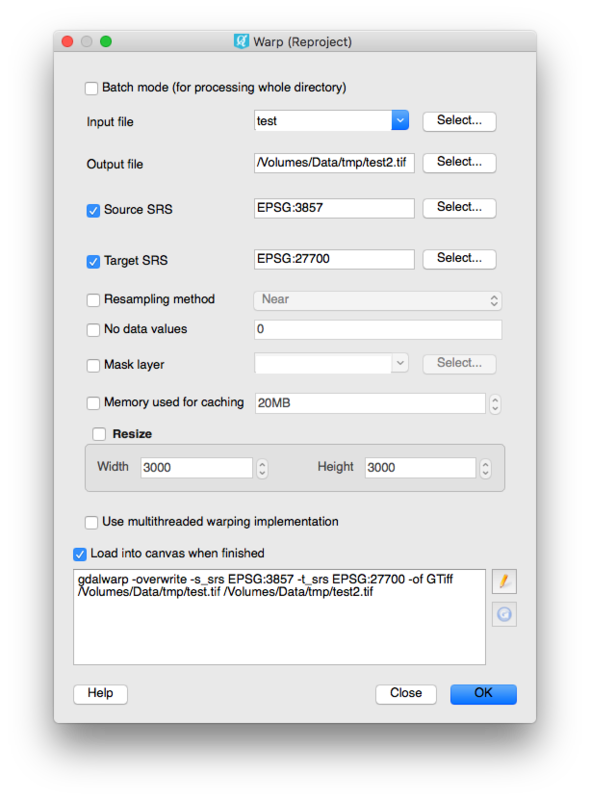 If output raster name has .tiff extension this option will add automatically. Also you can edit command line checking the pencil icon in this dialog right near the command line text. I'm developer at NextGIS and GDAL committer. Not the answer you're looking for? Browse other questions tagged raster coordinate-system or ask your own question. Why are raster z-values changed when reprojecting?